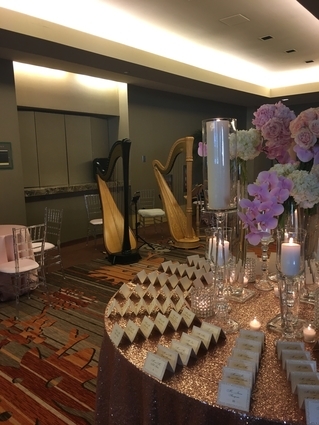 If you have a different combination of instruments booked (for example, Harp & Marimba or Harp & Piano), I will send you a repertoire list particular to those instruments. The repertoire list for multiple-harp ensembles is at the bottom of this page. Laughing Song from Die Fledermaus; J. Strauss, Jr. Many solo harp pieces can be adapted for harp ensembles. Please ask about any specific selections you have in mind!